11 Candleriggs, Glasgow. G1 1LA. To read the full history of this once famous city bar click here. Detectives are today piecing together the last hours of murder victim James McGuire. And last night officers from the Murder Squad toured city pubs, carrying pictures of the victim and seeking information about his movements. 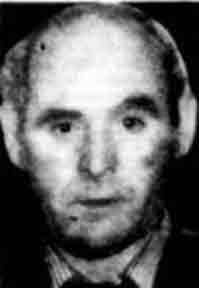 Mr McGuire (57) was found battered to death behind British Rail head-quarters at Port Dundas, Glasgow. He was naked and had severe head injuries. Since the discovery a large team of men men have been drafted into the investigation. And one theory being closely checked is that he was the victim of a gang who prey on men alone in the area. Police believe that such a gang has been operating, and among their victims have been homosexuals lured away from pubs and clubs. Mr McGuire lived with his sisters Isobel and Catherine at 268 Broadholm Street, Possilpark. Yesterday the grim news had to be broken to the women on a caravan holiday at Arbroath. The CID team are still anxious to speak to any witnesses or people who knew Mr McGuire. Their confidential telephone line is 041-???????. 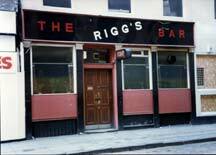 Detective Chief Inspector Donald Grant, the man leading the hunt: said later, "We are anxious to speak to any person who saw this man between 2.30 p.m. on Saturday, when he left the Riggs Bar, Candleriggs, and when his body was found on Sunday morning."